There is a new viral dance challenge going around the internet recently. Celebrities are dancing to Drake’s new music ‘In My Feelings’ and so give you this list. 1. Awra Briguela slayed the dance steps. 2. Bela Padilla was on the groove. 3. Ronnie Alonte showed off his dancing skill. 4. Do you mind dancing with Girltrends Chienna, Mica and Jessica? 5. AC Bonifacio got all the right moves. 6. Jaine Oineza was so into it. And she just can’t get enough. 7. And of course, KC Montero. 8. 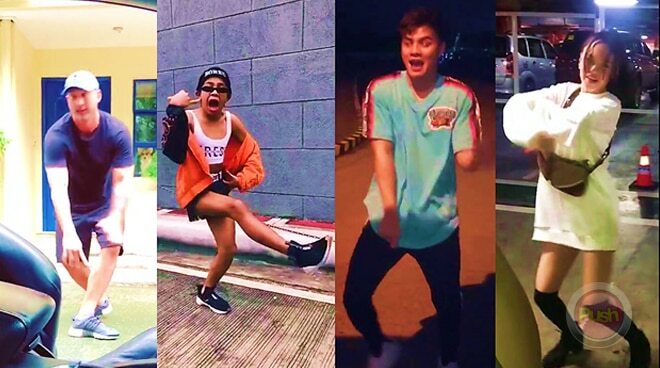 Alessandra de Rossi has a funny take on the dance craze.